There are definitely pros and cons to working out at a large gym vs. working out at home. Some people prefer the gym atmosphere while others like their privacy and opt for working out in their home. Below I have listed some of the advantages and disadvantages of each. -There is usually plenty of equipment to use which provides greater variety to your workout. -You are more likely to give a better effort with others watching you and probably won't rest 3 minutes between sets like you might be tempted to if working out in seclusion. -It can be motivating to be in an atmosphere with other active people who have common goals. -Depending on the time of day, it can get busy and there may be people using your preferred equipment. -It can be intimidating for some. If there are professional bodybuilders and fitness models wearing next to nothing, it can feel more like a meat market than a gym. -Monthly fees can add up and they still come out of your account even if you don't go to the gym. -It requires travel time to get to the gym so if your gym is not conveniently located, it may take much longer to get your workout in. -Nearby and convenient. It doesn't matter if there is a storm or icy roads outside. -They don't require membership fees and usually have a one time low cost to set up. -They offer greater privacy and for the person who prefers to workout alone. 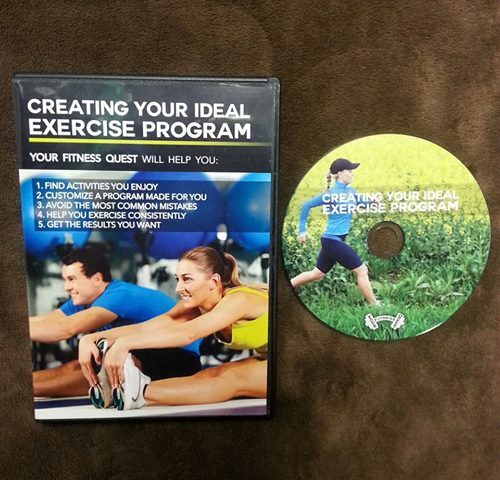 -It's easy to skip workouts or take it too easy during workouts if no one is watching. -We can become too familiar when working out at home. People end up hanging clothes on their equipment -There is a greater probability of getting bored while exercising in a confined space with limited equipment. I recently decided to set up a home gym at my house. 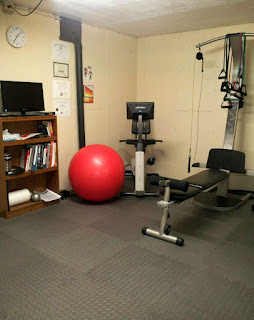 I've had miscellaneous equipment in my garage and in various room for years, but thought it would be beneficial to dedicate a room specifically to working out. 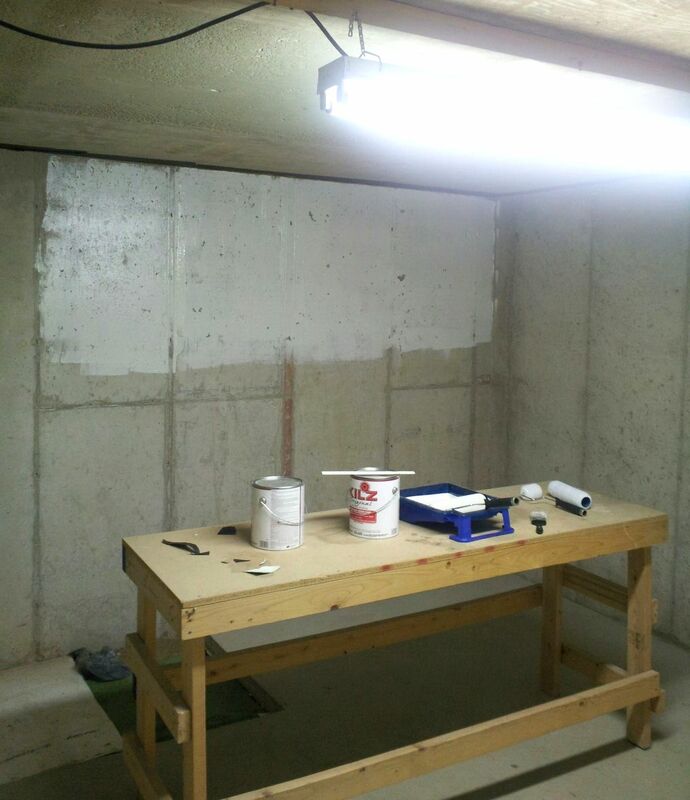 My only options was a small unfinished storage room in the basement with no windows so it was less than ideal, but I still decided to make the best of it. 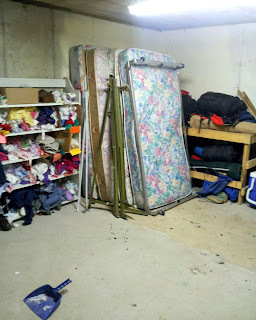 I first had to clean out old clothes, camping gear, holiday decorations, and miscellaneous junk from the room. Once the room was empty, I applied primer to the walls and painted the walls and ceiling. I then purchased padded flooring which I pieced together. Then I built some shelves for weights and got a couple mirrors and moved my equipment in. 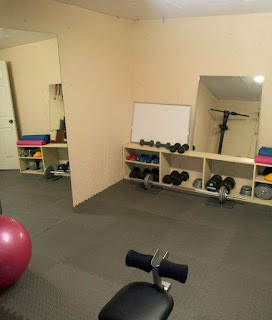 My gym is not ideal since it is in a small space, has no windows, a low ceiling, and it echos like you are in a cave, but it is still a big improvement to have an area in your home dedicated exclusively to exercise. I still prefer working out in a large gym, but I also really like my home gym. Even a small home gym that is less than ideal will still get you better results than a state of the art facility that is only used infrequently. 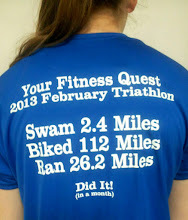 Regardless of where and how you work out, getting results really boils down to consistency. Cool ideas. I like it. So when you run outside in the winter does that help prepare you to be in shape for defending an attack on planet Hoth or maybe for carbonite freezing? Don't forget the cross fit workouts Luke did with Yoda in Dagobah. I'm afraid we are a bunch of nerds!